Celebrate friendship and trust at the workplace or with clients this upcoming Valentine's Day! 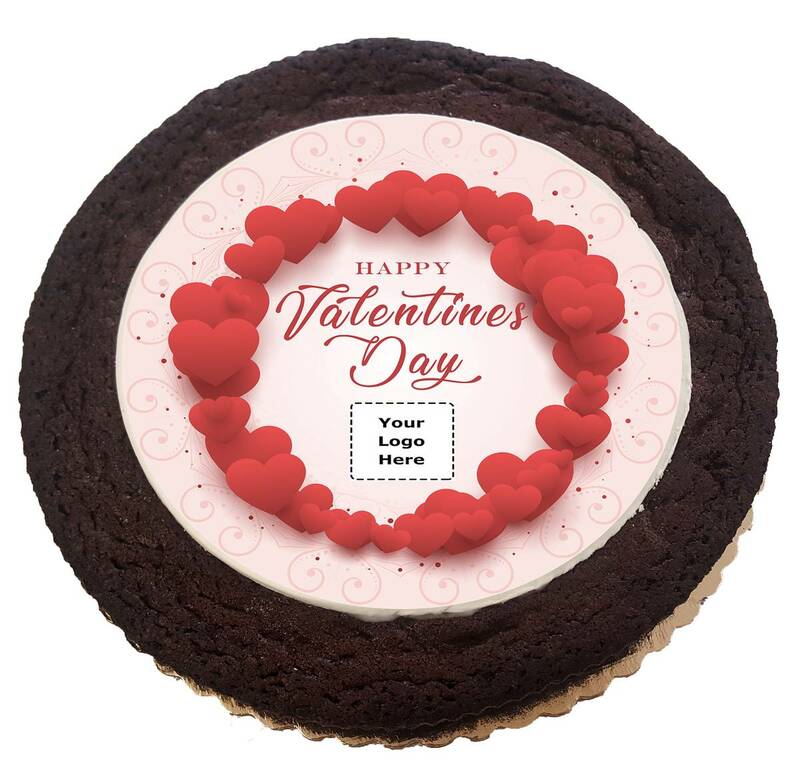 Decadent moist chocolate packs this huge brownie cake, decorated in a Valentines-themed design which includes your corporate logo, all printed over rolled fondant using 100% edible-ink. 4-5 Days (plus transit time). Rush Service Available. Large orders (50+) need more time. Each cookie cake is 10" in diameter.